February 28, 2018 By Asher Rubinstein, Esq. Coinbase, the largest public digital currency exchange, is the target of an IRS summons that seeks information on Coinbase customers who may not have properly reported their profits from trading virtual currencies such as Bitcoin. We last wrote about Coinbase and the IRS sparring in court, here. On February 23, Coinbase informed clients that it will be revealing client information to the IRS within twenty one days. The information to be provided will include client names, taxpayer identification numbers and Coinbase currency transactions. The IRS will utilize this information to begin audits. As we’ve written, the IRS offensive against digital currency non-reporting is similar to the way the IRS has pursued foreign banks to uncover “secret” foreign accounts that had not been properly reported to the IRS. The efforts of the IRS and U.S. Department of Justice eventually led to the death of bank secrecy. If you have or had an account at Coinbase, and you may not be in IRS compliance regarding your digital currency transactions, now is the time to take pre-emptive action. We can advise you on how to come into IRS compliance. Coming into compliance sooner will avoid significant penalties, fees and prosecution. Once the IRS begins an audit or investigation, pre-emptive action may not be as successful. Please contact us to discuss IRS compliance for Bitcoin and other virtual currencies. June 13, 2017 By Asher Rubinstein, Esq. The value of Bitcoin has surged 125% in 2017 alone. In addition to its value ascent, it has also gained in legitimacy. While it was once the currency of choice on the illicit Silk Road “dark web”, shut down by the U.S. Department of Justice in 2013, Bitcoin is now accepted for payments by Amazon.com and other mainstream businesses. Whether you’ve weathered the Bitcoin roller coaster or invested recently, you must ensure IRS compliance for Bitcoin. The IRS has taken an interest in Bitcoin for various reasons. First, Bitcoin is largely unmonitored and stands apart from the traditional structure of U.S. banking with 1099 forms and regular reporting. There is a huge mass of Bitcoin value that is relatively unknown to the IRS, and gains in value are essentially hidden from the IRS, and the IRS doesn’t like that. In addition, Bitcoin has a large potential for tax non-compliance, both because its very nature is anonymous, and because Bitcoin holdings give rise to significant IRS reporting (the “FBAR” form, IRS Form 8938, IRS Form 8949, capital gains taxes, etc.) and many Bitcoin owners don’t heed (or even know) the reporting requirements. In November 2016, the IRS obtained a federal court authorization to issue a “John Doe” summons to Coinbase, Inc., a web-based global digital currency wallet and platform. The IRS has in the past successfully used the “John Doe” summons to obtain information from financial institutions (e.g., UBS, HSBC and Cayman Islands banks) for a broad class of U.S. taxpayers who are not individually named but whom the IRS has reason to believe may have utilized the financial institution to improperly evade tax. The John Doe summons upon Coinbase seeks records from 2013 through 2015 for any Coinbase user with a US address, telephone number, e-mail domain, etc., and all records related to disbursement of funds to any user. A recently filed Affidavit by an IRS agent in the Coinbase enforcement litigation revealed that in 2015, only 802 taxpayers revealed Bitcoin information to the IRS on Form 8949, which is the form applicable to capital gains and losses. Other virtual currency platforms, such as Localbitcoins, Kraken and ItBit may receive similar summonses for transactions with Bitcoins and other virtual currencies like Ethereum and Litecoin. Bitcoin’s anonymity feeds its non-compliance, and there are many opportunities to run afoul of tax law and IRS requirements, intentionally or inadvertently. One issue is the failure to report income with respect to Bitcoin. In 2014, the IRS issued Notice 2014-21 describing how various income recognition and other US tax principles apply to virtual currency transactions. In that Notice, the IRS clarified that virtual currencies are “property” subject to income tax, capital gains tax, etc. This means that if Bitcoin is sold for a profit, that profit is income and is subject to capital gains tax. The income is reportable on IRS Form 8949 which is then attached to Schedule D of Form 1040. If you exchange your Bitcoin for goods or services, that too is a taxable event, as the IRS considers you to have earned income on the value of the good or service, less your cost basis in the Bitcoin (i.e., your Bitcoin purchase price). If you are audited by the IRS regarding Bitcoin, you may have to show multiple cost bases for multiple transactions. Proper record keeping with respect to Bitcoin is essential. The IRS could take the position that your cost basis in your Bitcoin is zero, and you would pay tax on the full value of the Bitcoin on the date of the transaction, unless you can provide records of your purchases of Bitcoin. In addition to income tax issues on Bitcoin income, there are reporting issues irrespective of income. Because a Bitcoin wallet would be considered by the IRS to constitute an “account”, if you hold your Bitcoins in foreign wallets or on foreign Bitcoin exchanges, then foreign account reporting requirements are triggered, including the FBAR (FinCEN Form 114, Report of Foreign Bank and Financial Accounts) and IRS Form 8938 (Statement of Specified Foreign Financial Assets). If you invested in a foreign fund that invested in Bitcoin, the IRS may consider the fund to be a “PFIC” (Passive Foreign Investment Company), which has its own tax methodology, and IRS Form 8621 would be due. Penalties for non-reporting foreign accounts are significant, including potentially 50% of the value of the account. Clearly, the IRS’ increased interest in Bitcoin necessitates proper compliance with respect to Bitcoin assets. The IRS offers opportunities to come into compliance before the IRS obtains information about unreported assets (virtual or actual) and income, including via a pre-emptive voluntary disclosure (offshore or domestic) of digital currency income and accounts. A voluntary disclosure also provides the opportunity to calculate, with a reasonable degree of certainty, the total cost of resolving open tax issues, along with peace of mind and finality. Please contact us to discuss IRS compliance for Bitcoin assets, along with other tax issues. February 10, 2017 By Asher Rubinstein, Esq. In the latest step by the IRS to address taxation issues in the digital on-line economy, the IRS has filed its first enforcement against convertible virtual currency, targeting tax abuse of “Bitcoin” transactions. On November 20, 2016, a Federal Court in California authorized the IRS to issue a “John Doe” summons to Coinbase, Inc., a web-based global digital currency wallet and platform. The IRS has in the past successfully used the John Doe summons to obtain information from financial institutions (e.g., UBS, HSBC and Cayman Islands banks) for a broad class of U.S. clients who are not individually named but who the IRS has reason to believe have utilized the financial institution to improperly evade tax. The John Doe summons seeks records from 2013 through 2015 for any Coinbase user with a US address, telephone number, e-mail domain, etc., and all records related to disbursement of funds to any user. In 2014, the IRS issued Notice 2014-21 describing how various income recognition and other US tax principles apply to virtual currency transactions. In that Notice, the IRS clarified that virtual currencies are “property” subject to income tax, capital gains tax, etc. 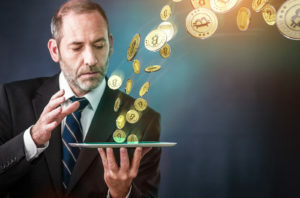 Omission of income from virtual currency transactions or failure to file, especially in relation to offshore transactions or use of foreign accounts, could result in criminal charges related to tax evasion, filing a false tax return and failure to file the FBAR (FinCen Form 114). Additional charges can include conspiracy to defraud the government. Even innocent or negligent non-compliance can subject a taxpayer to the assessment of tax, interest and severe civil penalties. Taxpayers have a limited time period remaining to voluntarily disclose virtual currency accounts and transactions, to correct prior non-compliance, avoid criminal prosecution and usually receive more lenient treatment than in a criminal or civil enforcement proceeding or audit. Once the IRS obtains information on Coinbase’s users, the IRS will follow with civil tax audits, FBAR audits and criminal investigations. Other virtual currency platforms, such as Localbitcoins, Kraken and ItBit may receive similar summonses for transactions with Bitcoins and its more recent competitor Ethereum. The IRS offers opportunities to come into compliance before the IRS obtains information about unreported assets (virtual or actual) and income, including the Offshore Voluntary Disclosure Program (OVDP) and Streamlined Filing Compliance Procedures for taxpayers to disclose digital currency transactions, income and accounts. A voluntary disclosure also provides the opportunity to calculate, with a reasonable degree of certainty, the total cost of resolving open tax issues. Time is of the essence to voluntarily report such information before the IRS obtains information pursuant to John Doe summonses, FATCA (the Foreign Account Tax Compliance Act), TIE (Tax Information Exchange) Agreements, etc. Anyone who has income as a result of transactions through Coinbase, Inc. or any other virtual or digital platforms, or unreported virtual or digital currency assets, should contact Rubinstein & Rubinstein, LLP immediately for a consultation. October 25, 2016 By Asher Rubinstein, Esq. Throughout 2016, the IRS and Department of Justice (DOJ) have continued to aggressively pursue offshore tax fraud investigations of many foreign banks in countries across the world. Moreover, according to the DOJ Tax Division, DOJ is “now fully staffed [with] 370 attorneys and 500 employees to pursue the department’s priorities, including offshore enforcement.” Now, more than ever, U.S. taxpayers are subject to the risk of criminal prosecution and various financial penalties if they fail to report foreign assets. Taxpayers may, however, eliminate these risks by voluntarily becoming tax-compliant through the IRS’s Offshore Voluntary Disclosure Program (OVDP), but they must do so before the IRS learns about the unreported foreign assets. There are many ways for the IRS to learn about unreported foreign assets. The Foreign Account Tax Compliance Act (“FATCA”), a U.S. law passed in 2010, requires foreign banks and financial institutions to automatically report to the IRS (without IRS subpoena or request) information regarding accounts held by Americans. Over one hundred countries around the world and many thousands of foreign banks have agreed to report financial information to the IRS rather than face the penalty of 30% withholding on U.S. source income. The IRS has also learned about unreported foreign assets via TIE (Tax Information Exchange) Agreements, “John Doe” summonses, “Nova Scotia” summonses, MLATs (Mutual Legal Assistance Treaties) and from other friendly governments which share information. The IRS has multiple sources of information around the world. If, however, the IRS does not already have information about a taxpayer’s foreign account, that taxpayer can make a preemptive disclosure to the IRS in exchange for lower penalties. In exchange for immunity from criminal prosecution and myriad penalties, taxpayers accepted into the OVDP will only pay back taxes owed (including interest and an “accuracy” penalty) and a “miscellaneous” penalty on the highest aggregate value of their foreign financial accounts. Generally, under the OVDP, this miscellaneous penalty is 27.5% of the highest asset value during the last eight years and is generally much lower than the penalties that the IRS would impose if the IRS learned about the unreported foreign assets. However, the OVDP penalty increases to 50% if, at the time the taxpayer makes a voluntary disclosure, the financial institution where the account is held is already under investigation or is negotiating a settlement with the IRS or DOJ. The IRS has published a list of the banks giving rise to the 50% penalty. The list is known colloquially by tax lawyers as the “naughty bank” list. The list of foreign “facilitators” of U.S. tax fraud subject to the increased 50% penalty continues to grow. This month, the IRS added forty-seven individual facilitators to the list of banks and institutions triggering the higher 50% penalty. The new names on the “naughty list” are individual bankers, lawyers, trustees or financial advisors who assisted their U.S. clients in hiding assets and income from the IRS. Although these forty-seven new facilitators were added in October 2016, taxpayers can still avoid the higher penalty associated with these facilitators if taxpayers make a voluntary disclosure by November 15, 2016. After that date, the penalty will jump to 50%. Because the IRS and DOJ continue to add to the list of institutions subject to the increased penalty, the longer a taxpayer waits to come forward, the more likely they are to be subjected to the 50% penalty. The IRS and DOJ’s continued persistence in attacking offshore banking “secrecy”, combined with the reach of the Foreign Accounts Tax Compliance Act (FATCA) and inter-governmental cooperation, makes it almost certain that the IRS will discover taxpayers’ undeclared foreign assets. Therefore, now is the time to consult with U.S. tax counsel on the best ways to come into IRS compliance, while minimizing exposure and ensuring continued access to the foreign funds. March 15, 2016 By Asher Rubinstein, Esq. Recently, the last Swiss banks to seek non-prosecution agreements with the U.S. Department of Justice (DOJ) have paid their fines and revealed the identities of their U.S. account holders. The U.S. Government is able to credibly announce that Swiss banking secrecy has been thoroughly defeated. Contemporaneous with the victory over Swiss banks, the U.S. has turned its attention to hidden bank accounts in other tax haven jurisdictions. On March 9, 2016, two Cayman Islands financial institutions, Cayman National Securities (CNS) and Cayman National Trust Co. (CNT) pled guilty in federal court in New York to conspiring with American account holders to hide accounts and evade U.S. taxes. These guilty pleas are the first from financial institutions outside of Switzerland. The pleas included details of CNS and CNT creating “sham” corporations and trusts for their U.S. clients to obscure the true beneficial owners of the accounts. DOJ also pointed out that CNS and CNT continued to provide “secret” banking services even after 2008, when it was publicly known that DOJ was investigating and prosecuting UBS for facilitating the same type of tax fraud. The Cayman institutions will pay a penalty of $6 million. The guilty pleas revealed that “[f]rom 2001 through 2011, CNS and CNT earned more than $3.4 million in gross revenues from the undeclared U.S. taxpayer accounts that they maintained.” That doesn’t seem to be much of a return on the illicit activity, especially amortized over that ten year period. It is especially surprising that the Cayman institutions, on notice since 2008 of the DOJ investigation and prosecution of UBS, made the business decision to continue to offer the very same “secret” banking services when the return was so low and the risk was so high. Pursuant to a treaty request, CNS and CNT have already disclosed twenty percent of their U.S. clientele to DOJ, and will now reveal ninety to ninety five percent of their U.S. clientele. For U.S. taxpayers who have not already come forward and voluntarily disclosed their accounts at CNS and CNT to the IRS, a pre-emptive disclosure is now too late. Those taxpayers can now expect IRS investigations and criminal prosecutions. Two weeks prior to the Cayman guilty pleas in New York, in a different offshore banking prosecution in Miami, DOJ requested that a federal court issue a “Bank of Nova Scotia” summons to UBS in Miami. The summons demanded the records of a UBS account in Singapore belonging to a U.S. taxpayer in China. In the past, DOJ has repeatedly used “John Doe” summonses against foreign banks (including in Switzerland, Belize, India and the Caribbean) to obtain information about a broad class of U.S. taxpayers unknown by specific name. “Bank of Nova Scotia” summonses have not been used as frequently until now. They derive from a court case where a U.S. court compelled a branch of Scotiabank in Miami to disclose information to DOJ regarding a Scotia branch in the Cayman Islands, notwithstanding Cayman’s secrecy laws. In the present case, UBS will argue that Singapore’s bank secrecy laws prevent UBS from providing the account records to DOJ. The parallel argument applied, of course, to accounts at UBS in Switzerland when DOJ prosecuted UBS in 2008. And yet, Swiss bank secrecy failed for UBS (and its U.S. clients) in 2009. Because of UBS’ substantial presence in the U.S., it was forced to settle with DOJ or else face penalties against UBS’ banking licenses and assets within the United States. For the same reason, we can expect that, just like the Swiss account records, the UBS Singapore account records will ultimately be handed over to DOJ. Notwithstanding UBS’ vulnerability with respect to its U.S. assets, it is unlikely that the state of Singapore would risk its financial reputation to protect non-compliant accounts. Singapore makes a significant amount of money from legitimate international banking and finance and would not jeopardize this by being “blacklisted” as an uncooperative tax haven, as it was a decade ago. To this end, in 2014 Singapore signed FATCA, whereby Singapore financial institutions report information about U.S. account owners to the Inland Revenue Authority of Singapore, which in turns furnishes the data to the IRS. In addition, a new Singapore regulation requires banks to identify all accounts that may harbor the proceeds of tax evasion, and close them. Failure to abide by this new law will result in criminal charges for the Singaporean bankers. It is of course no surprise that DOJ and the IRS are pursuing undisclosed accounts in Cayman and Singapore. The U.S. has not limited its enforcement activity to non-compliant accounts in Switzerland alone. Within the last couple of years, DOJ has moved against banks and financial institutions in the Caribbean (CIBC First Caribbean, Stanford Bank and Butterfield Bank in the Bahamas, Barbados and elsewhere), Belize (Belize Bank International Limited and Belize Bank Limited), Panama (Sovereign Management) and India (HSBC India). We expect that other financial institutions, in other jurisdictions, are being investigated as well. The settlement by some one hundred Swiss banks with DOJ, whereby in exchange for paying fines and naming U.S. account holders the banks avoid prosecution, has now freed up manifold resources at DOJ and IRS to examine and prosecute other financial institutions beyond Switzerland. Moreover, the account information handed over by the Swiss banks when settling with DOJ provided DOJ with a road map of funds leaving Switzerland and where these funds went, the so-called “leaver accounts”. DOJ and IRS are especially driven to investigate and prosecute these account holders, as they show an added level of intent to deceive the IRS. Many of the leaver accounts went to jurisdictions like Dubai, Israel, Singapore, Hong Kong and Panama. These jurisdictions are now targets of DOJ investigation. There is still an opportunity to bring foreign accounts into IRS compliance, via the IRS Offshore Voluntary Disclosure Program (OVDP) and, for less egregious non-willful infractions, the Streamlined disclosure procedures. However, it has been some eight years since the 2008 DOJ prosecution of UBS signaled the end of Swiss banking secrecy. There have been recent hints by the IRS that, given the amount of time that has elapsed, the opportunity to voluntarily disclose the accounts to the IRS in return for lower penalties may be closing. U.S. taxpayers who still have non-compliant offshore accounts would be well advised to seek competent legal assistance in addressing how to best come into compliance, and they should do this before the IRS finds them. September 8, 2015 By Asher Rubinstein, Esq. India has become one of the latest countries to sign on to the Foreign Account Tax Compliance Act (FATCA) and report data from Indian financial institutions to the IRS. FATCA was passed by the US Congress in 2010. Over one hundred foreign countries have agreed to participate, including former “tax havens” such as Cayman, Liechtenstein and Switzerland. The agreement by so many foreign countries to share information with the IRS represents yet another example of the elimination of foreign bank secrecy. June 12, 2014 By Asher Rubinstein, Esq. In recent years, there has been increasing cooperation between the taxation authorities of many governments. For example, when Germany purchased bank account information from bank employee “whistle blowers”, Germany shared this information with other European and North American governments, which resulted in tax investigations of people in various countries. The Foreign Account Tax Compliance Act (“FATCA”), passed by the U.S. Congress in 2010 and coming into effect this year, provides for foreign governments and foreign financial institutions to share information with the IRS regarding U.S. taxpayers with accounts in foreign countries. Dozens of foreign countries and thousands of foreign banks have signed on to FATCA. According to one recent report, a staggering 77,000 foreign financial institutions have agreed to cooperate and share information with the IRS, under FATCA. The reach of the IRS is now truly global creating a challenge for a foreign asset attorney. On May 1, 2014, Israel announced that it had reached a FATCA agreement with the U.S. The agreement is a “Model 1” agreement, by which Israeli banks will provide the required information to the Israeli government, which in turn will provide it to the U.S. government. The FATCA agreement is reciprocal, meaning that the U.S. can report to Israel regarding Israeli owned U.S. accounts. Israel’s eagerness to accede to FATCA was apparent long before the May 1 official announcement. In 2012, the Association of Banks in Israel urged Israel’s central bank, the Bank of Israel, to ask the Israeli government to reach a FATCA agreement with the U.S. Earlier in 2014, even before the signing of the FATCA agreement with the U.S., the Bank of Israel ordered Israeli financial institutions to begin to implement FATCA procedures, including appointing an officer to oversee FATCA compliance, identify U.S. customers, make U.S. customers sign IRS declarations (such as IRS Form W-9) and expel any clients unwilling to do so. While some foreign governments faced criticism for “caving in to” U.S. pressures to sign FATCA, Israel appears to have needed very little persuasion; in fact, Israel seems to have backed FATCA, and the reach of the IRS into Israeli banks, willingly and eagerly. Further, Israel appears to be unique among countries in its vigilance to uphold and enforce FATCA within its own borders. The Israeli Ministry of Finance has drafted proposed regulations which would impose criminal penalties upon Israeli financial institutions (including banks, brokerage houses and insurance companies) that do not comply with their FATCA reporting obligations. Individual employees at these financial institutions who knowingly assist clients in avoiding FATCA disclosures could face jail sentences as severe as seven years. It should be noted that of all the foreign “facilitators” charged criminally by the U.S. Department of Justice (i.e., the foreign bankers, lawyers and other professionals who assisted U.S. taxpayers to commit U.S. tax fraud via “secret” accounts), facilitators from Switzerland comprise the largest group, followed next by Israeli bankers. With Israel’s eagerness to criminally enforce FATCA under Israeli law, it appears to some that Israel may be overcompensating to now maintain a clean banking image. “Israeli banks are subject to laws in Israel, and not to U.S. laws such as FATCA. Until now, Israeli banks were obliged to protect their customers’ privacy and were forbidden from providing information on account holders to any parties unless Israeli regulators explicitly stated otherwise.” (Haaretz, March 19, 2014). While Israel’s banking privacy regime was not as well-known as that of Switzerland, Israeli banks have long been utilized by U.S. taxpayers who have not reported their accounts, nor the income earned in the accounts, to the IRS. As a result, within the last few years, Israeli banks have joined Swiss banks under the scrutiny of the U.S. Department of Justice (DOJ) and the IRS for facilitating U.S. tax fraud. The Swiss branches of Bank Leumi, HaPoalim and Mizrachi Tefahot have been the targets of DOJ criminal investigations, along with major Swiss banks such as Credit Suisse and Julius Baer. Although these three Israeli banks have been publicly named as being the targets of criminal tax investigations, it is likely that many other Israeli banks are also being investigated for offering accounts that allowed U.S. taxpayers to escape taxation. Israel’s recent willingness to implement FATCA and criminalize FATCA non-compliance as a matter of Israeli internal law, comes at the same time as Israeli banks and bankers are increasingly under the spotlight for aiding U.S. tax fraud. While Israel announced its FATCA agreement with the U.S. on May 1, one day earlier, on April 30, 2014, Israeli banker Shokrollah Baravarian, of Beverly Hills, California, was criminally charged with assisting his U.S. clients with committing U.S. tax fraud, including utilizing accounts in Israel and the Cayman Islands, and also through the use of offshore entities in jurisdictions such as Nevis and the British Virgin Islands. Baravarian was a senior vice president at Mizrachi Tefahot. In 2013, multiple U.S. taxpayers with undisclosed foreign accounts in Israel and Israeli banks with branches elsewhere were prosecuted by the DOJ, among them: David Raminfard (who failed to disclose his Israeli account, along with a Turks & Caicos entity, and accessed his funds via “back to back” loans); Aaron Cohen (accounts in Israel and Cayman, used “back to back” loans); Moshe Handelsman (account in Israel), and Alexei Lazlovsky (account at the Luxembourg branch of an Israeli bank). In addition, in 2013, David Kalai and Nadav Kalai, two tax preparers in the U.S. with Israeli clients, were prosecuted for facilitating tax fraud through the use of undeclared accounts at Israeli banks, including Israeli banks with branches in Luxembourg. Israeli accounts appear to be second only to Swiss accounts as targets of DOJ prosecutors. Against this background, on June 9, 2014, it was reported that Bank Leumi is in discussions with DOJ to settle the tax fraud probe, and that the bank has set aside one billion Shekel (US$300 million) to pay in settlement, in return for a deferred prosecution agreement which would avoid a formal criminal indictment against Bank Leumi. Only two weeks prior, Credit Suisse paid $2.5 billion to settle U.S. tax fraud charges. UBS paid $780 million to settle U.S. tax fraud charges in 2009, also in return for a deferred prosecution agreement. As part of its settlement with the U.S. government, UBS released the names of almost 5,000 Americans with formerly “secret” UBS accounts. It is possible that Leumi’s settlement with DOJ will also include the release of the bank’s client’s names. Even if not (as was the case with the Credit Suisse settlement last month), the U.S. can still obtain client names via a treaty request or “John Doe” summons which are frequently approved by U.S. courts and served on foreign banks such as HSBC in India and UBS in Switzerland. John Doe summonses are also served upon U.S. banks in connection with foreign accounts. In 2013, a U.S. court approved John Doe summonses upon Bank of New York (Mellon), Citibank, JPMorgan Chase, HSBC Bank USA, and Bank of America to produce information about U.S. taxpayers with undisclosed accounts at The Bank of N.T. Butterfield & Son Limited and its affiliates in the Bahamas, Barbados, Cayman Islands, Guernsey, Hong Kong, Malta, Switzerland and the United Kingdom. Also in 2013, a U.S. court approved John Doe summonses upon the Bank of New York (Mellon) and Citibank to produce information about U.S. taxpayers who may have had unreported accounts at Zurcher Kantonalbank (“ZKB”) in Switzerland. Thus, even if the Credit Suisse and Bank Leumi settlement agreements with the U.S. government do not include the banks handing over “secret” account details, the IRS and DOJ can still readily obtain the identities of U.S. clients at foreign banks. It should be noted that any undisclosed account in Israel, or at a branch of an Israeli bank elsewhere, is vulnerable to discovery by the U.S. government, whether via FATCA, John Doe summons or treaty request. The threshold for reporting foreign accounts to the IRS is low, only $10,000. DOJ will prosecute U.S. taxpayers with accounts of all values, not only in the millions of dollars. DOJ does not want an account owner with, e.g., “only” $50,000 offshore to feel that his or her account is “too low” for IRS scrutiny. In addition, even if a U.S. taxpayer had an undisclosed foreign account, but did not utilize foreign corporations, back to back loans, and other methods of hiding the foreign funds, the taxpayer could still be the target of an audit, investigation and civil penalties. Such civil penalties can exceed the value of the foreign account. Even if the account is depleted by such penalties, the U.S. taxpayer would still be responsible for the deficiency, and the IRS would then proceed against the taxpayer’s U.S. assets. Israeli accounts that remained open following immigration to the U.S.
Israeli children of American citizens, who may never even have visited the U.S. nor have any U.S. tax nexus, but are still subject to U.S. tax law and reporting requirements. The tentacles of the IRS are clearly global, both in terms of the extra-territorial reach of U.S. tax law and reporting obligations, as well as the willingness of foreign governments and foreign financial institutions to join FATCA and report to the IRS. In the case of Israel and Israeli financial institutions, the IRS seems to have found ready, willing and eager partners, more so than in any other foreign country. In light of the DOJ and IRS investigations and prosecutions of U.S. taxpayers with undeclared accounts in Israel, coupled with Israel’s eagerness to join FATCA and assist the IRS, U.S. taxpayers with undisclosed accounts at Israeli banks must take steps to come into U.S. tax compliance. There is an opportunity to come into U.S. tax compliance pre-emptively, avoid criminal prosecution and pay lower penalties than if the IRS learns about the accounts first (such as via FATCA). If you have unreported foreign assets, you must see a U.S. tax attorney with experience in offshore accounts and IRS compliance. Come speak with a foreign asset attorney, before the IRS finds you. December 13, 2013 By Asher Rubinstein, Esq.